Something like four weeks ago I had a major issue with my QNAP TS-459 Pro storage device. 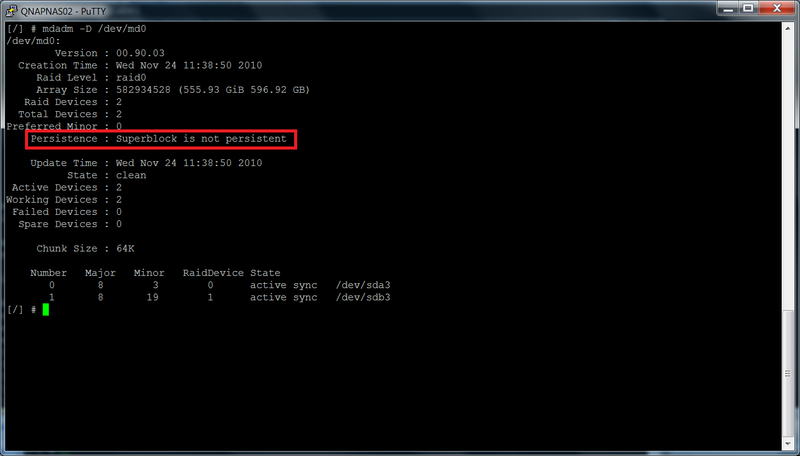 I did a simple firmware upgrade and whoop my RAID0 volume was gone, oops! 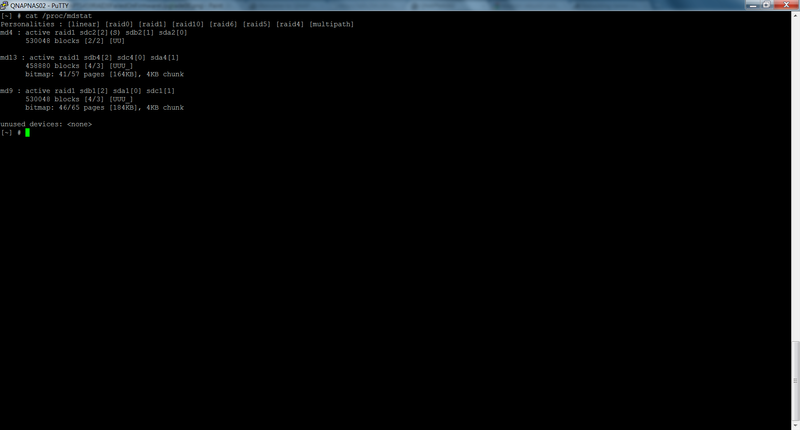 It took me some time to recover my broken RAID0 volume and many trial and errors. Hopefully I had a backup and a lot of spare time thus I could play around with the device. Fist thing I tried is a restore of the latest known working backup of my QNAP storage device. The restore process went flawlessly but upon reboot, I had the same problem, my RAID0 volume was still gone. 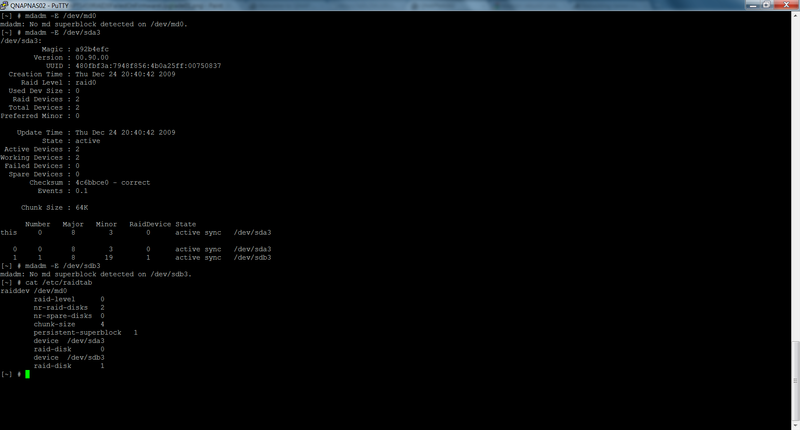 I SSH’ed in the QNAP device and triggered some mdadm commands as shown on the screenshot below. 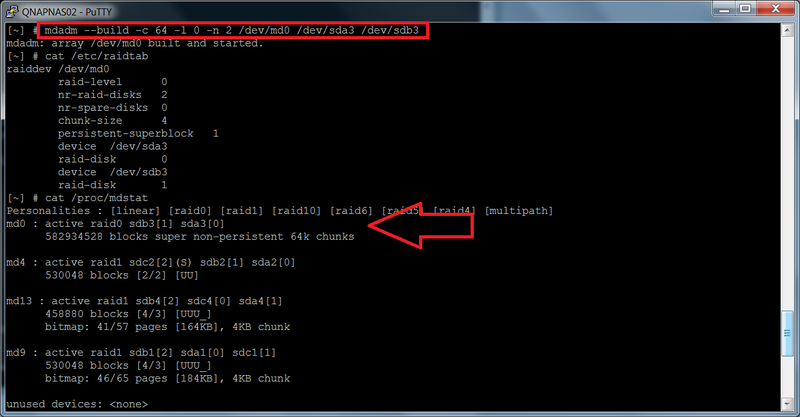 mdadm -E /dev/md0 confirmed the issue, no RAID0 volume even though I did a restore of the QNAP’s configuration settings. Well the restore was partially helpful. Look at the screenshots above, in the logical volumes panel, you see that a stripping volume containing disk 1 and 2 was declared but not active. And on the second screenshot, the striping disk volume was unmounted as a result. The device was back up and I checked in the Volume Management panel for the status of the striping volume and it was still not active but this time the File System column showed EXT3. The Check Now button might help to recover the striping volume to a healthy state, let’s try that and indeed it was a success as shown on the two screenshots below. 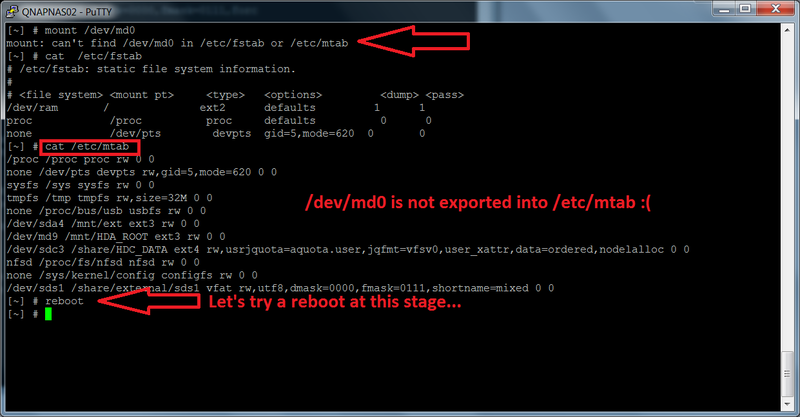 The Check Now button fixed the /dev/md0 entry in /etc/mtab and the status was now as active. Hurray! Unfortunately the happiness was short because as soon the QNAP device rebooted, the striping volume configuration settings were gone. Actually I could see that the superblock, that is the portion of the disks part of a RAID set, where the parameters that define a software RAID volume, was not persistent, that is was not written in a superblock as shown in the screenshot below. I had to face it, I would not be able to recover my striping disk volume thus I decided that it was time to re-create it from scratch and copy back my data. So I cleared any RAID volume settings from the device and while at it, I decided to evaluate the sweet spot of the chunk size especially for a RAID0 volume.